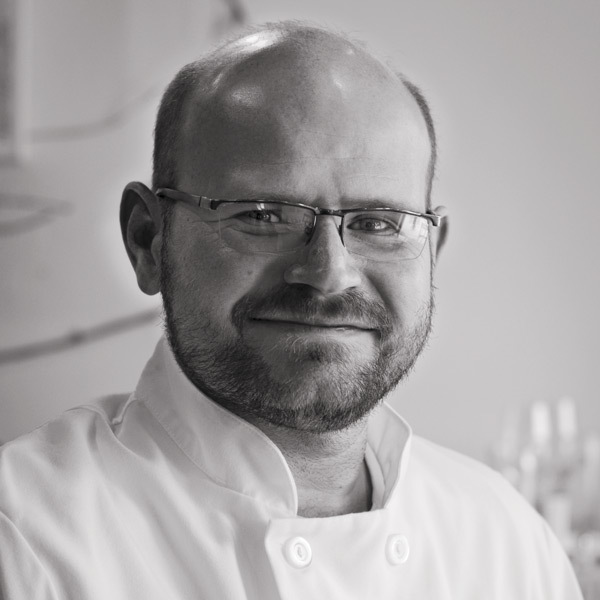 Home Spring 2015 Chefs David Seals Jr.
Born in Detroit, David A Seals Jr. spent his youth in middle Tennessee living with his grandmother and cooking side by side with her. In 1992, he relocated to the Detroit area and began his culinary journey, first as a dishwasher and then was rapidly promoted to kitchen management in several establishments due to his dedication and talent. He held his most recent position as a corporate chef for 10 years at Federal Mogul World headquarters. Seals ran the extensive kitchen, which served personalized menus for the CEO and 1,000 employees. He also was responsible for various aspects of the business including food cost, inventory, employee management, and food preparation and menu development. At the end of 2007, Seals and his wife, Nicole, had an opportunity to lease a space that housed a lot of potential in their hometown of Clawson. In late summer of 2008, after nearly a year of planning and a complete building renovation of the space, they opened the doors of Due Venti, their version of a quaint northern Italian dining establishment, where top-notch service and cuisine are key. Almost seven years old, Due Venti has won over many diners (and critics), for their innovative, rustic-refined dishes that change seasonally, along with the attention to detail in every aspect of the restaurant. Due Venti has also become a reputable place to have a career. Many of the staff members have been with the company since its inception. Superb wine, beer, and cocktails are in keeping with the quality of cuisine and service. David and Nicole have been married for 11 years and they have two young sons, who they hope will join their ranks in the kitchen someday. When not at his restaurant running the show, Seals adores spending time with his family, traveling locally and abroad, dining out, gardening, and camping.